I got the most random appliance for Christmas (I asked for it, btw) — a jelly and jam maker! I absolutely love making homemade jams and jellies and thought I’d share a recipe or two with you guys. Today I made strawberry jam. It’s the hubby’s favorite and it is so soooo delicious. I like making my own because I don’t have to put nearly as much sugar in it as the store-bought jellies. Plus, it is tastier. 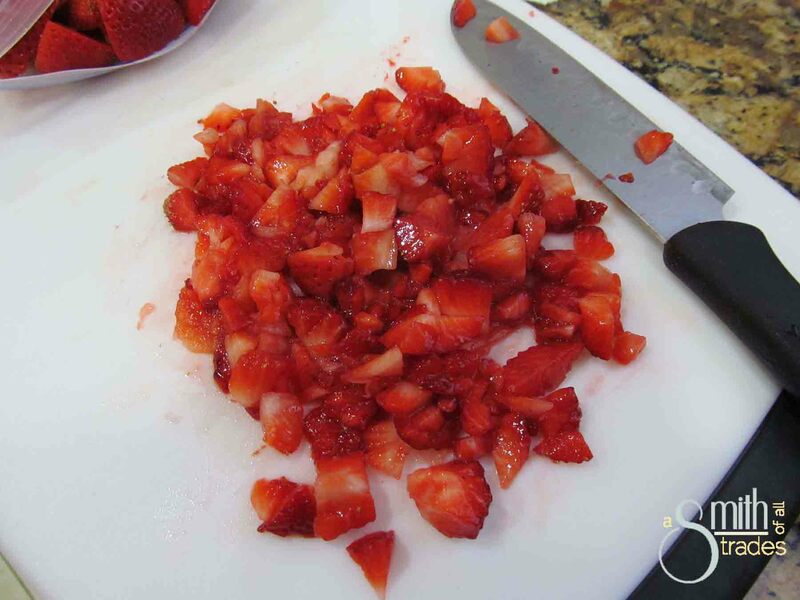 First, cut up your strawberries into little bits. If you like your jam chunkier, leave some bigger chunks of the fruit. Next, mash your berries with a potato masher to get some of the juices loose and the strawberries extra squishy. 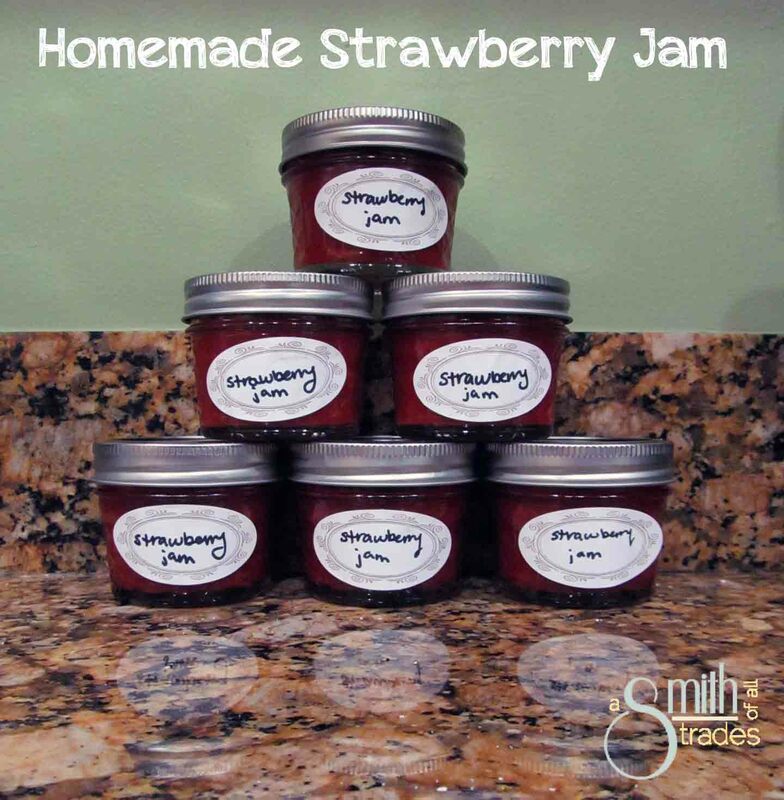 Add your strawberries, butter and pectin to your jam maker and turn it on. In my jam maker, the preset time for jam is 21 minutes. If you make it on the stove, cook on medium heat for about the same amount of time. Side note: I had no idea what pectin was before I started experimenting with my jam maker, so here’s what I’ve learned. Pectin is a natural substance found in apples that helps fruit to gel up. For fruits with a lot of pectin in them, you do not have to add pectin to make the jam or jelly (although it doesn’t hurt). Berries don’t have a lot of pectin, so you need the added stuff. I buy mine on Amazon. After 4 minutes, add in your sugar. Cover and walk away and let the pot do its work. Come back in 21 minutes to a steamy pot full of delicious jam. If you want to can your jam, do it immediately while the jam is still boiling hot and you won’t have to boil your jars to seal them. Simply place your seal and your lid onto the can after it is full, then flip it upside down. The heat from the jar’s contents will seal the jar and make it last for about a year. The jam will also burn badly if you spill it on yourself. I learned this the hard way after spilling a bunch of boiling peach jam on my hand. Be careful!!! If you are going to use some right away, plop it into a container and place it in the fridge. Once it is cool, try it out! 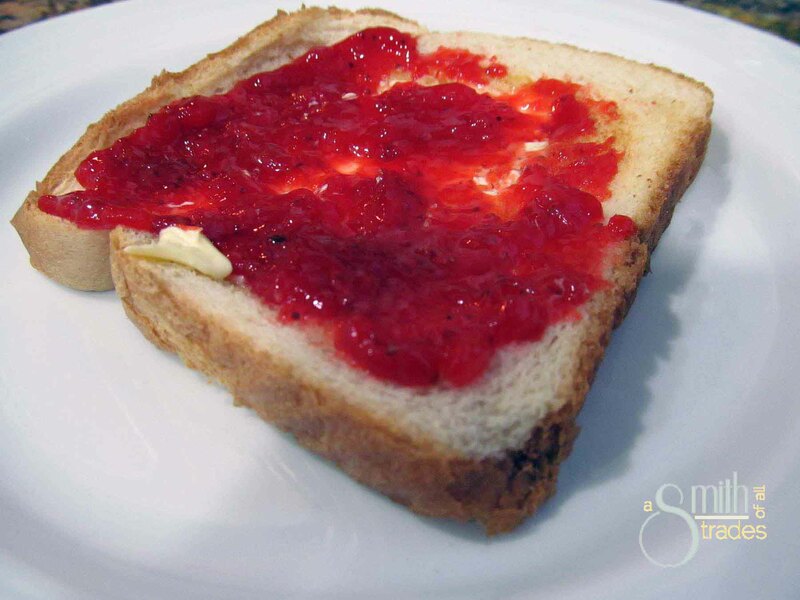 The main reason I am sharing this recipe is that when I got my jelly and jam maker it came with a recipe book. This recipe book called for a ton more pectin (which is expensive) and a TON more sugar. I’m talking three cups. Gross. I think the recipe I have here is a really good one that I plan to use from now on with this jam.